In this world, meditation is not a luxury; it is a necessity. Countless studies have shown the benefits of meditation for all illnesses related to high stress, from heart disease to PTSD. 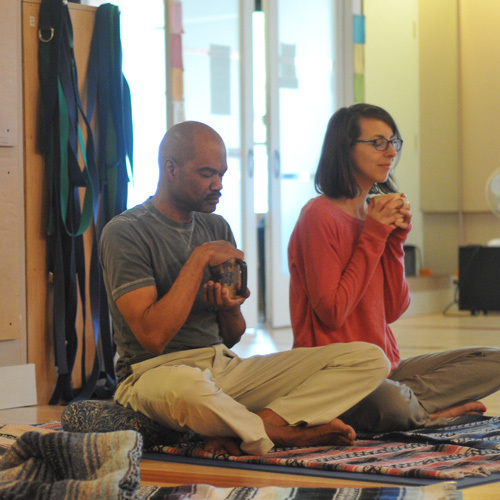 At Baltimore Yoga Village Mount Washington location, a drop in meditation session is offered by donation every tuesday evening at 7-8:30; pay what you can. Learn simple and accessible meditations focused on breath or heart. Chairs are offered for those who prefer not to sit on the floor. We also offer periodic Mindfulness Based Stress Reduction Courses and Introduction to Meditation courses and workshops. Visit our courses page for the next upcoming meditation course.